Kaiser was sitting in his office in Rawalpindi, Pakistan when his iPhone went off. A text message. Oh, the Cat, he smiled. Kaiser read the mail, expecting more tidbits about his game. He was surprised that the Cat asked about the Shandur Polo Festival. It was coming up in a little over a week’s time. 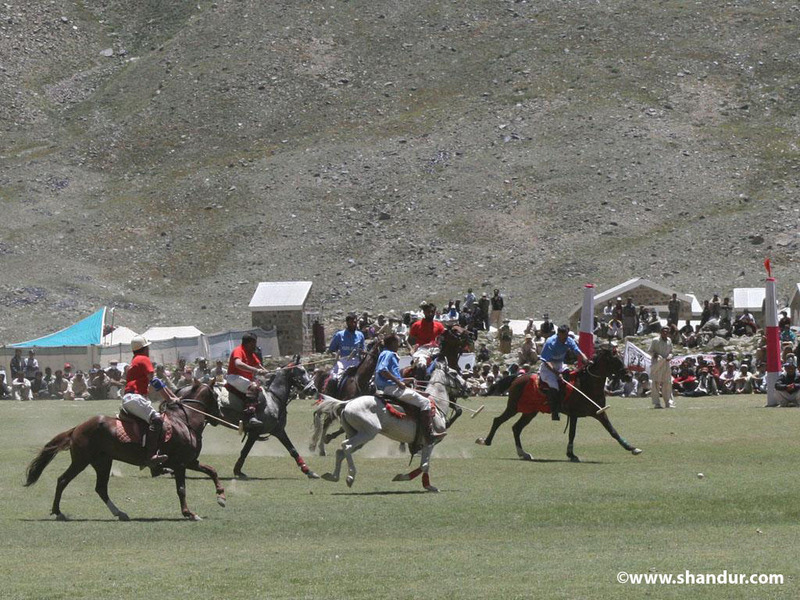 Played in the highest polo location in the world, Shandur was an event in the Hindukush mountain range. The rules of play were cruder than traditional British polo. Here, high in the mountains surrounded by snow covered peaks, two sets of teams battled on a grass pitch surrounded by a stone wall. The game consisted of two 25-minute chukkers, or periods of play. Only one horse was used by each player for the entire match. Without rules, or referees to enforce them, some matches degenerated into brawls, reminiscent of the earliest polo in 500 BC Persia where the game was developed to train soldiers on horseback. The Maltese Cat wrote that he wanted to visit Shandur. He also wrote a very peculiar question. Did Kaiser know anyone connected to the Taliban? Kaiser texted back, No, he didn’t and they don’t tend to field good teams. They are better with Kalashnikovs. I’m serious, Kaiser, came back the reply. Are you crazy??? What do you want with them guys?? Tell them that an American journalist wants to interview them to shed a different light on their cause. The Cat did write articles from time to time, but they were almost always concerned with polo. Still, he could show credentials, if needed. Better you don’t know too much about this. Can you set it up? The Maltese Cat went back to his thoughts and mulled over the problem. What could these young Turks of Wall Street want with Afghanistan terrorists? They didn’t share a religious commonality. It was a dangerous game they were playing, whatever it was. Their lifestyle was so frivolous as to be ridiculous. That didn’t fit in with an ideology commitment. He could not figure out any connection the two groups could possibly have. The Cat was stumped, a most uncommon occurrence. This kept him up most of the night and found him bleary-eyed the next morning and still stumbling for an answer. relaxing. The one-on-one competition was both a challenge and a form of concentration for him. He thought it would be good to find a new place to train now that he had changed his location. This dojo seemed to fit the bill. He liked the idea of Jujitsu. It was a soft style that suited his personality. Technique over brute strength. The Maltese Cat had always preferred this way in sports, as well as in his business career. bring out the best in his students. But the Cat also realized that Sing would be a formidable opponent, able to adapt his method of fighting to each circumstance. This characteristic attracted the Cat’s attention the most. After the training session, Sing came over to the Cat and introduced himself. They discussed various styles and methods. When they went over to a heavy bag, Sing was fascinated by a technique that the Cat showed him. It was an unorthodox way of hitting a hook, using an elevated elbow. The Cat had learned this technique from a retired Army sergeant when he was boxing in Germany. Sing liked the increased power the technique gave without using more effort. The Cat realized that he had found an instructor who he could learn from and who was also open to new ideas. This was a character trait he shared with the Cat. The match would be a good one. When not playing tennis or polo, the Cat got his physical training by working out twice a week at the jujitsu dojo. The Cat understood. Rhythm. Cadence. The famous Japanese swordsman, Miyamoto Musashi, wrote about Hyoshi and the importance of using a cadence that would never occur to one’s opponent in order to defeat him. The use of dodging, feinting and blocking all had their own rhythm. The Cat was being too predictable for Sing. In the same moment that the Cat thought about it, Sing gently nudged him to offset the Cat’s balance, and then swept him off his feet once more. However, this time it was different. Within that one split second of time, as the Cat was helplessly in the air, an epiphany came to him. Why hadn’t I thought of that before? The Boys Club! Were they using a distraction with the Taliban to disguise what they were really doing? Was it all a stratagem to lay a false trail for the authorities? The Cat came crashing down on the mat but he had a Cheshire Cat grin on his face, or better said a Maltese Cat grin. Sing was bewildered to see the Cat’s countenance. After the Maltese Cat left the dojo, his mind continued to think about the Boys Club. Driving back home in his car, he could not shake the thought that what the Boys were playing was an extremely dangerous game. A thought came to him as he recalled the title of Bruce Lee’s final film, Game of Death. This could be the game the Boys Club was unknowingly playing. One thought kept recurring in the Maltese Cat’s mind. What exactly were these boys up to?